Dj Sumit Sethi And Punjabi Singer Meet Kaur Launched Their Latest Dance Track ‘Jhanjraan’ In Delhi. The Event Took Place At Warehouse Cafe, Connaught Place. They Shared Their Views About The Song With Delhi Media. Babli Singh And Tejwant Singh Lamba Are The Presenters Of The Song. The Song Is Released Under Shemaroo Label. 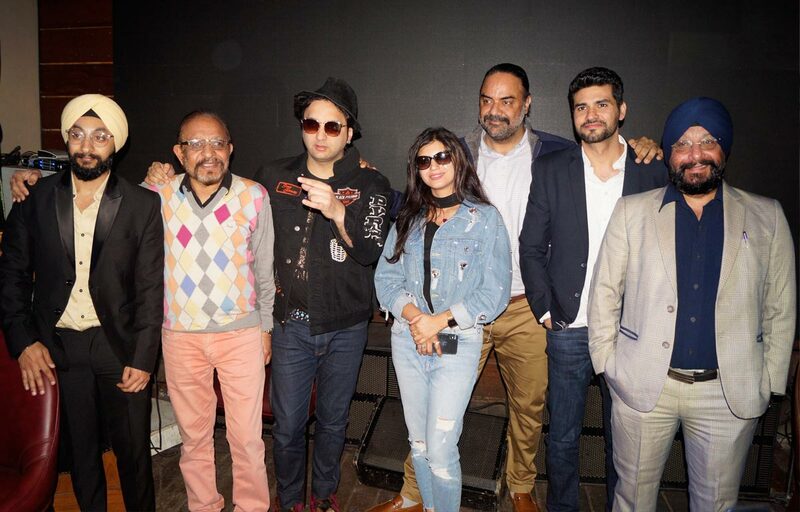 Singer Meet Kaur Was Also Present At The Launch, She Said, “I Am Happy That I Received A Chance To Work With Dj Sumit Sethi, I Really Enjoyed Singing The Song As It Has Amazing Lyrics And Music. This Song Is Very Special To Me As The Whole Team Of Jhanjraan Worked Really Hard To Make This Song A Success.” Sharing Her Views To Make A Debut In Bollywood She Said ” Right Now I Am Focusing On Singing Punjabi Songs. Once I Am Established Here, I Will Surely Try My Luck In Bollywood”.